If you have been injured as a seaman on a U.S. ship then you might have a right to seek compensation under the Jones Act. Attorneys at The Dunahoe Law Firm in Natchitoches, Louisiana are ready to help. To receive a free attorney consultation, simply complete the short contact form on this page or call us now at 800-259-4460. 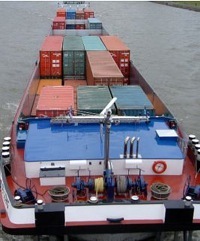 The Jones Act protects seaman on U.S. maritime vessels operating in U.S. waters. Workers on oil rigs, shrimp boats, water taxis, tankers, barges, charter boats, private yachts, cruise ships, and tugboats are normally covered. If you were injured while working on any vessel operating in the U.S. on rivers, canals, or on the ocean, you may be covered. If in doubt, contact our Louisiana law firm to be certain. The Jones Act, a section of the Merchant Marine Act of 1920, allows seaman aboard U.S. vessels operating in U.S. waters to seek damages when injuries occur due to negligence. Below is an excerpt from that document. "Any sailor who shall suffer personal injury in the course of his employment may, at his election, maintain an action for damages at law, with the right to trial by jury, and in such action all statutes of the United States modifying or extending the common-law right or remedy in cases of personal injury to railway employees shall apply..."
While it sounds simple, the Jones Act and litigation of related claims can be quite complex. Attorneys at our Louisiana law firm are ready to help make sense of it all and answer all of your questions. If you have been injured while working on a ship or oil platform in U.S. waters then call 800-259-4460 or complete the form on this page now. There is no cost and no obligation to receive a fee attorney consultation.